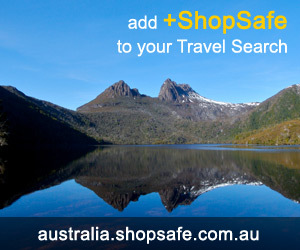 There are 24 shops in the ShopSafe USA Fashion Accessory Stores Shopping Category. Novica features exquisitely crafted purses by talented artisan designers worldwide. Gorgeous designs that are one of a kind - evening bags and clutches from Bali, fine leather purses from Peru, stylish recycled handbags from Brazil, slings and totes from Thailand and much more. Watches, Handbags, Wallets, Jewelery, Belts and Sunglasses. A stylish collection of accessories for casual weekends, nights out on the town or the rigors of work. A huge range of classic and fashionable brand name bags - Shop for backpacks and carry-ons, computer cases and handbags. Check out the Urban and Messenger range, sports and duffels. Great selection and competitive online pricing. Free Shipping on all orders over $25 - see instore for details. Shop for this seasons must-have styles - sport, fashion and collegiate head gear. Celebrity style, slouchy laid back chic or make a statement with their super cool range of Fedora's. Hot brands and profiles with their co-ordinating accessories and apparel. Custom baseball caps to promote your business, gift-giving or for yourself - fashionable, affordable, easy solutions! You`ll love the Linea Pelle collection of designer handbags, vintage belts and fashion accessories. Famous for their soft, slouchy shaped handbags, their casual luxury belt range are also hugely popular - no two belts are exactly the same! Fashion accessories meant for casual, everyday wear yet with intricate little details and the use of high quality leather they have created unique and distinctive vintage look. Baghaus is a one-stop-online-shop for all of your designer style handbag needs. Looking for the elegantly hip, the classically timeless or the celebrity handbag trends currently spotted on the arms of Hollywood A-list fashionistas - find them all here at great prices. Free Shipping on orders over $75.00 or more. Smart and stylish Watchbands and Bracelets featuring the fabulous HIRSCH brand. Update your look with their extensive designs available in various Leathers, Metals and Sports materials. A wide range of luggage, business cases, computer cases, duffels, backpacks and travel accessories. Look out for coupon codes and save money and shipping fees on selected products. Atlantic, Briggs and Riley, Delsey, Hartmann, Hobo, International, Kenneth Cole, Kipling, Samsonite, Timberland, Travelpro, Tumi, Victorinox. Easy online shopping for Akubra Hats, Drizabone Coats, Kaminski Ladies Hats, and Bahmah Hats. Choose from a huge range - top designer names, the Helen Kaminski range is a must see. Specialising in Australian hats from Helen Kaminski, Akubra, Barmah, Jacaru, DrizaBone and Top Show. All else failed? Let us help. If you want to see more Fashion Accessory Stores here, please e-mail fashion_accessories@shopsafe.cc. Please do not change the subject line of your email. If the subject line does not contain "Add to ShopSafe Online Shopping" it will not be read.